The next Drill Hall Dialogue talk, ‘An Introduction to the Guildhall Museum’, will be given by Dr Jeremy Clarke, on Tuesday 12 February from 10.00. Dr Clarke is responsible for all formal education and learning programmes supported by the museum collection or its listed buildings. He mostly works with and in local schools, but also runs courses, lectures and illustrated talks for adults. He has also run partnership projects to support children in making music for Dickens novels, in illustrating scenes from Great Expectations, and in working with actors at locations made famous by the novel. 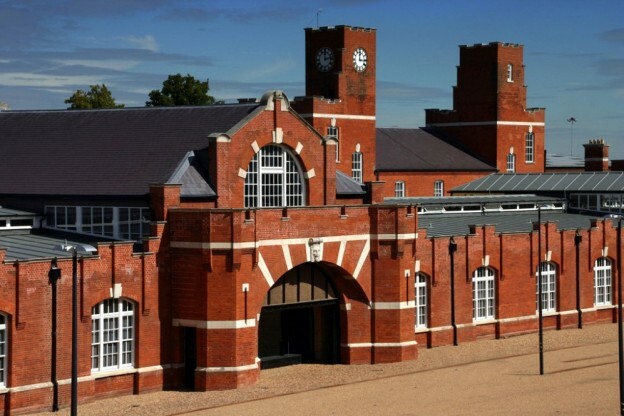 Drill Hall Dialogues is a monthly series of talks held at the Drill Hall Library, the learning resource centre for the Universities at Medway collaborative project. The talks take place on the first or second Tuesday of the month and usually last no longer than 45 minutes with 15 minutes allotted for any questions and answers. The talk on 12 February takes place in Room DA002 and all staff are welcome to attend. For more information on the Guildhall Museum, see the Visit Medway site.